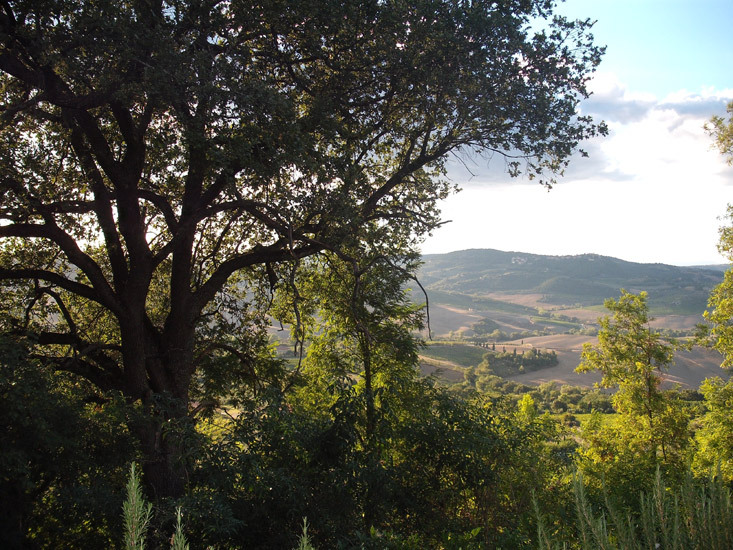 A green oasis close to the medieval boundaries of Montepulciano far away from every noise of modern life: the farm Palazzolo was an ancient "hospitable" structure for wandering people passing through and has now become a modern restructured hamlet. 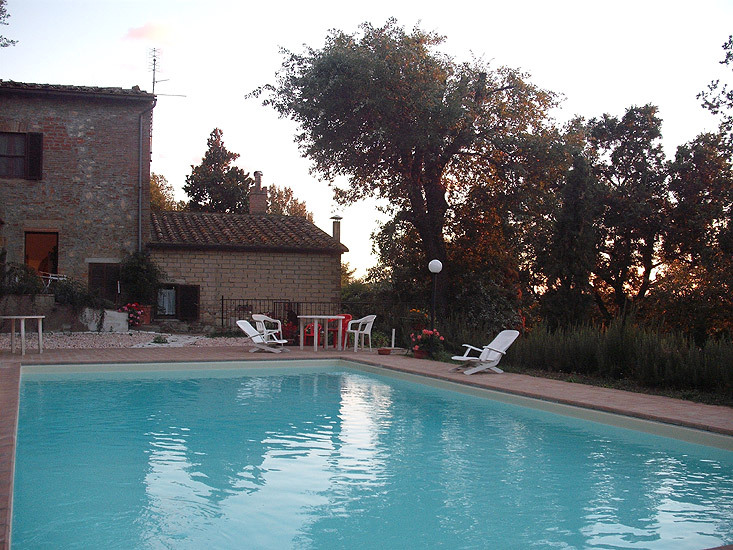 Agriturismo Podere Palazzolo is very close to the monumental and historical centre, about 80 meters, and to the Renaissance plaza and the beautiful Temple of St. Biagio. 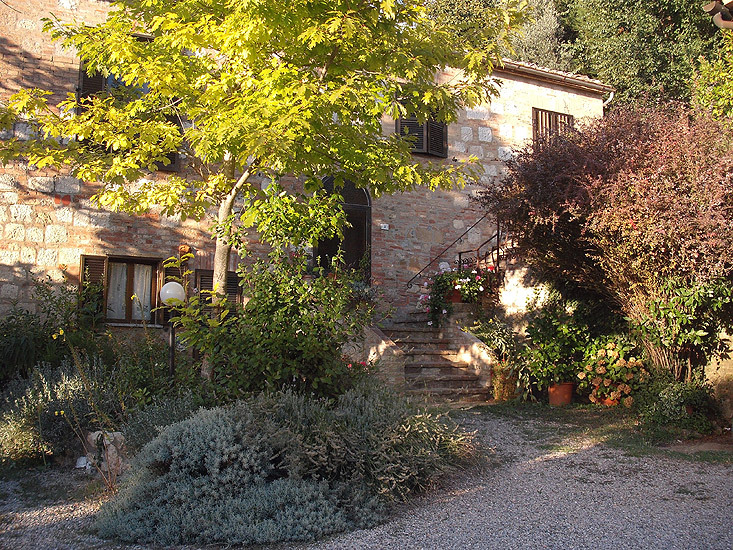 You can live an unique experience: on one hand the Agriturismo is surrounded by nature and by the quiet of a wooded country, a natural heaven with flora and fauna autochthonous with a beautiful panorama on the ancient historical suburbs of the zone; on the other, thanks to the position of Podere Palazzolo, You can choose to discover by feet Montepulciano�s historical centre or to visit Val of Orcia, Valdichiana. 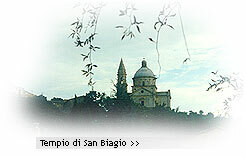 You can also spend a day at the thermal structures in the neighbouring countries, visiting the Etruscan museums, or discovering the beauties of this zone with an uncontaminated landscape, full of history, nature, culture, thermal baths, relax and comforts in Pienza, Cortona, Montefollonico, Monticchiello, Chianciano Terme, Chiusi, Bagno Vignoni, etc..